Recently, we started Heather on trilostane after learning she had Cushing's disease. 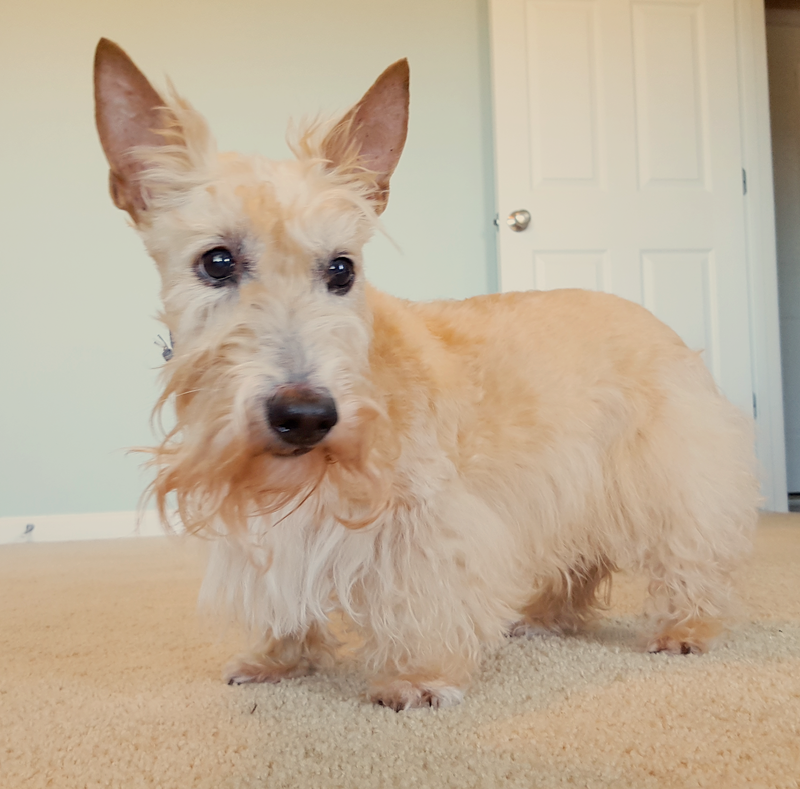 She takes two pills every morning with breakfast (along with Cosequin® for the joints, cefpodoxime for an infection currently clearing up and occasionally, tramadol to help with the pain from arthritis). I kept a close eye on her from the day she started trilostane, expecting some sort of reaction or side effects to occur. Amazing, that hasn't been the case. In fact, she seems to be responding really well. It could be a placebo effect of sorts happening in my head but I'm encouraged by Heather's response to the medications. She has a little more sparkle in her eyes and even woke me up by burrowing her head in my side repeatedly and snorting - something she hasn't done in a while - almost every day this week. I like to think that's her way of telling me she's happy and feeling better. I suspect she was the ring leader of Thursday's Scottie Whodunnit in which I came home to find the kitchen trash bin not only tipped over, but the bag ripped to shreds and the contents all over the Scottie House. 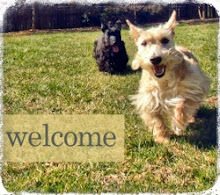 On Friday, Heather makes another trip to the V-E-T exactly four hours after she has her morning dose of trilostane to redo her ACTH stimulation test. I'm cautiously optimistic that she will do well and we won't have to up her dosage of trilostane, given her response to the current regimen thus far. Still, we ask you to keep sweet Heather Beather in your thoughts and cross your paws and fingers for her, please! We will update you on the results as soon as we have them. I know that it's expensive, but Heather is worth it. God bless our puppy dogs. 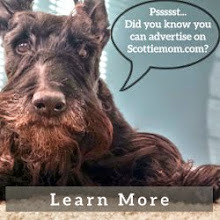 My Scottie had bladder cancer and we were told that there was no hope, period. Tarty and I are sending healing vibes for Heather! Keeping Heather in my heart and prayers for continued good health and well being. Glad to hear she is improving with the meds.